The World of Peachtree Publishers: Kevin Luthardt, author-illustrator extraordinaire! Ever wanted to see the many steps it takes to go from a blank canvas to THIS? 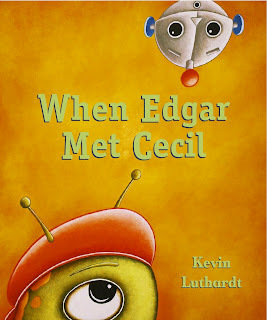 Check out Kevin Luthardt's new video featuring art from his new picture book, When Edgar Met Cecil (Sept. 2013)! Love his work? Tell us about it! Leave a comment and you could win a copy! I'll pick some winners at the end of the week!